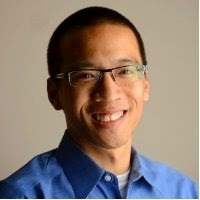 Brandon Wu (MPP ‘12) was elected to serve on the Board of Directors of Climate Action Network-International (CAN). The Board oversees CAN's international secretariat staff, is the fiscal decision-making body for the network, and provides guidance on strategic direction, staffing and more. CAN is a worldwide network of over 900 NGOs in more than 100 countries, working to promote government and individual action to limit human-induced climate change to ecologically sustainable levels. CAN members place a high priority on both a healthy environment and development that "meets the needs of the present without compromising the ability of future generations to meet their own needs" (Brundtland Commission). CAN's vision is to protect the atmosphere while allowing for sustainable and equitable development worldwide. Esnaashari joins Rainbow Research Inc.